BCP Racing Cold Air Intake Induction Kit. 2005-2009 Ford Mustang Base Model with 4.0L V6 Engine. The air intake kit can help your engine to draw more cold air resulting in better throttle response and higher explosive horsepower output. BCP Racing Air Intake Induction Kit. 2001-2005 Honda Civic with 1.7L Engine. Short Ram Intake. The air intake kit can help your engine to draw more cold air resulting in better throttle response and higher explosive horsepower output. BCP Racing Cold Air Intake Induction Kit. 1987-1993 Ford Mustang LX/GT Model with 5.0L V8 Engine (W/MAF sensor). The air intake kit can help your engine to draw more cold air resulting in better throttle response and higher explosive horsepower output. BCP Racing Cold Air Intake Induction Kit. 1996-2004 Ford Mustang GT Model with 4.6L V8 Engine. The air intake kit can help your engine to draw more cold air resulting in better throttle response and higher explosive horsepower output. 2006-2011 Honda Civic DX/LX/EX 1.8L. Pulls cooler denser air from inside the inner fender well to make more power and save gas. High quality aluminum piping for extra performance. We can provide minimal support, but we will try our best to help. CPT Universal Water Guard Short Ram Cold Air Intake Pre-Filter Air Filter Cover (Black) - Large. Universal, fits most cone and cylinder shaped filters from 5" to 5.5" wide x 5.75" to 6.25" High. Most affordable cold air and short ram pre-filter on the market. BCP Racing Air Intake Induction Kit. 2001-2004 Chevrolet Corvette with 5.7L V8 Engine. The air intake kit can help your engine to draw more cold air resulting in better throttle response and higher explosive horsepower output. 1999-2005 Volkswagen Beetle with 1.8L / 1.9L / 2.0L / 2.8L Engine. 1999-2005 Volkswagen Jetta with 1.8L / 1.9L / 2.0L / 2.8L Engine. Ultimate performance Short Ram Air intake Kit. 1999-2005 Volkswagen Golf with 1.8L / 1.9L / 2.0L / 2.8L Engine. 2007 Chevrolet Silverado 1500 Classic with 4.3L V6 Engine. 1999-2007 Chevrolet Silverado 1500 with 4.3L V6 Engine. 2007 GMC Sierra 1500 Classic with 4.3L V6 Engine. 1999-2007 GMC Sierra 1500 with 4.3L V6 Engine. 1999-2005 Volkswagen Jetta with 1.8T Turbo Engine. 1999-2005 Volkswagen Jetta with 2.0L Engine. BCP Racing Cold Air Intake Induction Kit. The air intake kit can help your engine to draw more cold air resulting in better throttle response and higher explosive horsepower output. 1996-2000 Chevrolet Tahoe with 5.7L V8 Engine. 1996-1999 Chevrolet C1500 Suburban with 5.7L V8 Engine. 1996-1999 Chevrolet C2500 Suburban with 5.7L V8 Engine. 1996-1999 Chevrolet K1500 Suburban with 5.7L V8 Engine. 2009-2013 Chevrolet Silverado 1500 with 4.8L / 5.3L / 6.0L / 6.2L V8 Engine. 2009-2014 Chevrolet Suburban 1500 with 5.3L / 6.0L V8 Engine. 2009-2013 GMC Sierra 1500 with 4.8L / 5.3L / 6.0L / 6.2L V8 Engine. 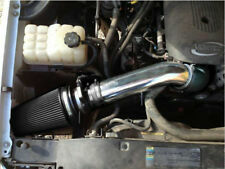 BCP Racing Cold Air Intake Induction Kit w/Heat Shield. 1999-2006 Chevrolet Silverado 1500 with 4.8L/5.3L V8 Engine. 2001-2006 Chevrolet Silverado 1500 HD with 6.0L V8 Engine. 2007 Chevrolet Silverado 1500 Classic Edition with 4.8L/5.3L V8 Engine. 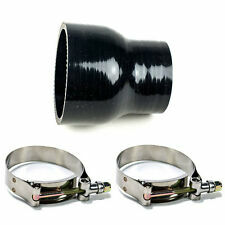 BCP Racing Cold Air Intake Induction Kit w/Heat Shield. 2011-2014 Ford F150 All Models with 5.0L V8 Engine. The air intake kit can help your engine to draw more cold air resulting in better throttle response and higher explosive horsepower output. BCP Racing Air Intake Induction Kit. 2004-2011 Ford Crown Victoria 4.6L V8. Short Ram Intake. The air intake kit can help your engine to draw more cold air resulting in better throttle response and higher explosive horsepower output. 2005-2009 Ford Mustang with 4.6L V8 Engine. Ultimate performance Cold Air intake Kit. Filter is upgraded to high quality washable and reusable cone air filter. Increase 8-10% horsepower and torque. Back to Top. 2001-2005 Honda Civic All Models with 1.7L L4 Engine. It's the ultimate performance Cold Air intake System. This air intake can help your engine to draw more cooler air resulting in better throttle response and higher explosive horsepower output. BCP Racing Air Intake Induction Kit. 2011-2014 Dodge Avenger 3.6L V6 Engine. 2011-2014 Chrysler 200 3.6L V6 Engine. Short Ram Intake. The air intake kit can help your engine to draw more cold air resulting in better throttle response and higher explosive horsepower output. 2001-2005 Honda Civic with 1.7L Engine. Ultimate performance Short Ram Air intake Kit. Filter is upgraded to high quality washable and reusable cone air filter. Increase 8-10% horsepower and torque. Back to Top. 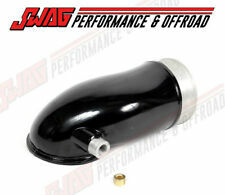 BCP Racing Cold Air Intake Induction Kit w/Heat Shield. 2014-2019 Chevy Silverado 1500 with 5.3L/6.2L V8 Engine. 2014-2019 GMC Sierra 1500 with 5.3L/6.2L V8 Engine. 2015-2019 Cadillac Escalade with 6.2L V8 Engine. 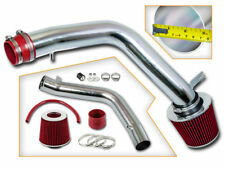 BCP Racing Cold Air Intake Induction Kit w/Heat Shield. 1997-2003 Ford Expedition with 4.6L/5.4L V8 Engine. 1997-2003 Ford F-150 with 4.6L/5.4L V8 Engine. 1997-1999 Ford F-250 with 5.4L V8 Engine. The air intake kit can help your engine to draw more cold air resulting in better throttle response and higher explosive horsepower output. 1988-95 GMC C/K/R/V Suburban 1500 2500 4.3L 5.0L 5.7L V8 Engine. 1988-95 Chevrolet C/K/R/V Suburban 10/ 20 4.3L 5.0L 5.7L V8 Engine. Cooler air carries more oxygen, which translates into a more intense explosion in the combustion chamber to create more horsepower and torque. 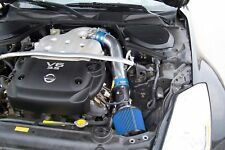 BCP Racing Cold Air Intake Induction Kit w/Heat Shield. 2009-2010 Ford F150 with 5.4L V8 Engine. 2007-2014 Ford Expedition with 5.4L V8 Engine. The air intake kit can help your engine to draw more cold air resulting in better throttle response and higher explosive horsepower output. Ultimate performance Short Ram Air intake Kit. Filter is upgraded to high quality washable and reusable cone air filter. Back to Top. Buy more and Save more. BCP Racing Air Intake Induction Kit. 2003-2008 Dodge Ram 1500 All Model with 5.7L V8 HEMI Engine. 2004-2007 Dodge Durango All Model with 5.7L V8 HEMI Engine. The air intake kit can help your engine to draw more cold air resulting in better throttle response and higher explosive horsepower output. BCP Racing Air Intake Induction Kit. 2005-2008 Dodge Magnum SE with 2.7L V6 Engine. 2005-2010 Chrysler 300 Base/LX with 2.7L V6 Engine. The air intake kit can help your engine to draw more cold air resulting in better throttle response and higher explosive horsepower output. 2011-2014 Ford Mustang 5.0L V8 Engine. 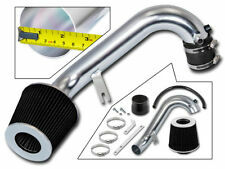 Ultimate performance Cold Air intake Kit with Heat Shield. The kit includes a steel heat shield that features a durable carbon-black powder coating for long lasting good looks.